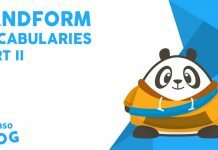 Konnichiwa, Learners! Kali ini kita akan membahas phrasal verbs yang menggunakan kata “go.” Kira-kira apa saja ya? Tune in! Sebelum lanjut ke “go” phrasal verbs, kita bahas sedikit ya mengenai phrasal verbs nya sendiri. 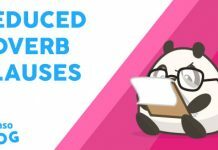 Phrasal verbs adalah frasa yang terdiri dari verb utama ditambah dengan partikel seperti adverb atau preposition, atau bahkan keduanya. 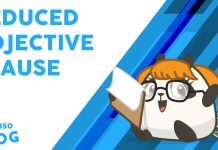 Jadi, arti dari kedua partikel yang digunakan di phrasal verb akan berbeda dari arti sebenarnya. The man said, “Go away!” to the beggar. Go away, don’t disturb me! Google Earth’s truck goes around my block to capture the area. Let’s go around the city this weekend. He told me I was the only one. He go back on his promises. I don’t recommend doing business with them, they often go back on their words. Last summer was fun, I can’t wait to go back. I’m not going back to the haunted house. The cost of highway goes down due to Eid’s homecoming season. You have to go down on consuming sugar. Diana is going for the first rank in her class. I am so hungry, I would go for a bowl of mac and cheese. My high school team are going in for the football game this weekend. I’m considering to go in for the English Debate Competition. I can’t go into the case, I will be on vacation next week. They didn’t go into the reasons for firing me. Save yourselves, the bomb might go off any minute now. The fire alarm went off and we were shocked. When he found out that he was betrayed, he went off pretty bad. The A/C went off this morning. It’s fixed now. It is so sad that Larry can’t go on with his speech. What’s going on? Am I missing something? Don’t change the plan, we have to go on with it. We will go on with the lesson after the break. We were so cold because the fire went out. Ross thought that Mark and Rachel were going out. Let’s go over last week’s test. The presentation go over so well, Naya. Her lawyer was asked to go through the files one more time. They have to go through this problem. We need to go through with this break up. Ben has decided to go through with the changes. Does this shirt go with this jacket? Who are you going with to prom? Some cactus can go without water for two years. I can’t imagine going without food for days. 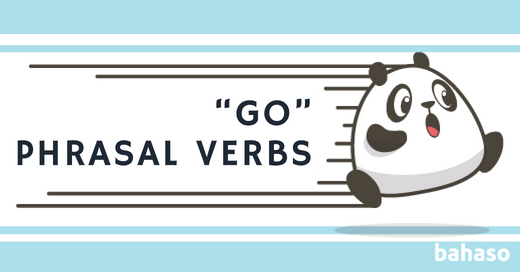 Itu dia phrasal verbs yang menggunakan verb “go.” Sekarang giliran kalian untuk membuat kalimat menggunakan phrasal verbs di atas ya, Learners!